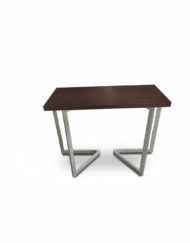 Transform Your Desk Into A Square Dining or Family Table. 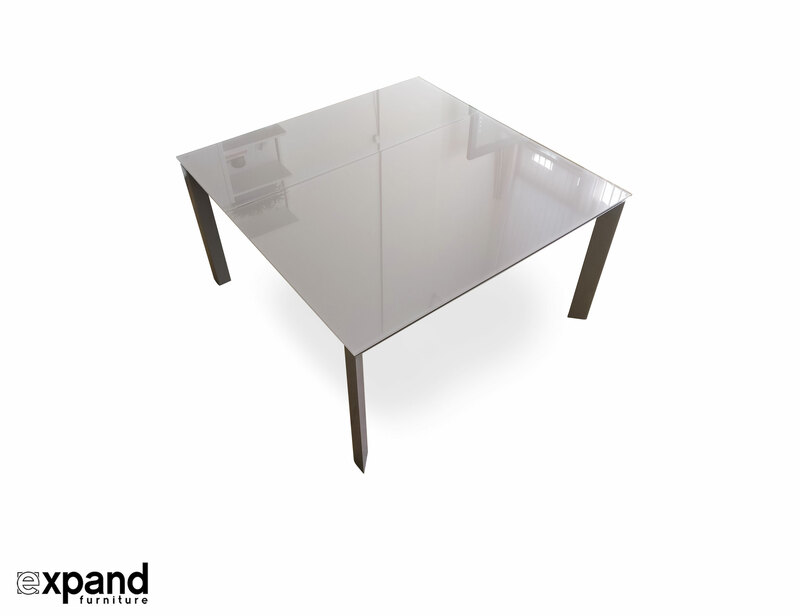 The Frame Rectangular Table is a convertible multitask-er that transforms from Rectangle to a large Square table. 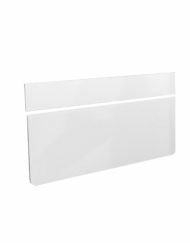 It extends from 35.5 inches by 55 inches rectangle shape to be a 55 x 55 inch square shape. 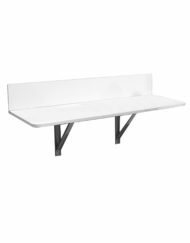 Our easy to handle conversion mechanism ensures that you not only increase the surface area of The Frame, but conveniently creates seating capacity in mere seconds. 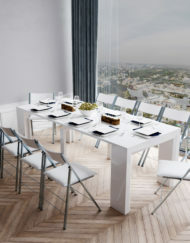 A Unique, Modern Take On Expandable Dining Tables . 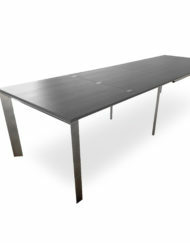 Another home run for our space saving table line up, as you can use the Frame as a desk or work space in your home office, unfold its true potential as a square extended dining table. 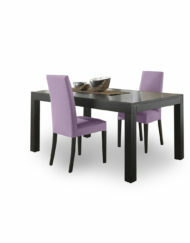 Make this into a dining set by adding on a 12 Nano Chairs, or look at the Bella Stacking Chair. 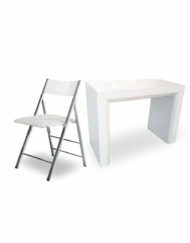 Transform Your Desk Into A Square Dining or Family Table. 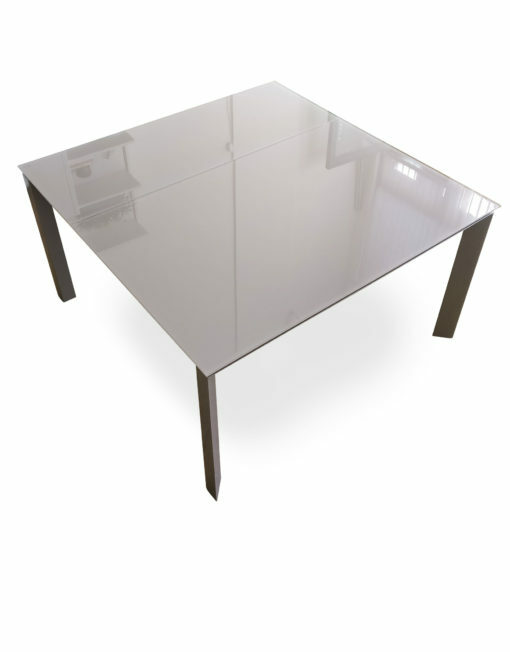 The Frame Rectangular Extendable Table will instantly become a space-saving classic in your condo, townhouse or open space loft. 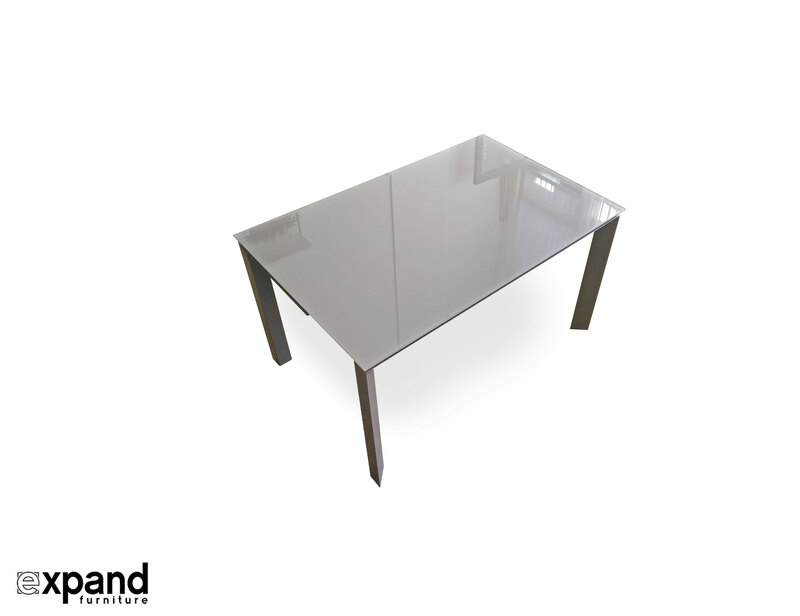 The grey monochromatic look makes it a timeless and innovative statement piece, sure to match any living concept and decor. 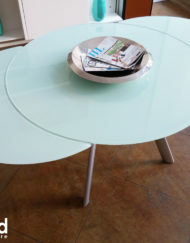 The glass table top not only looks stunning with its oil painted grey surface, it is easy to clean and take care of as well. 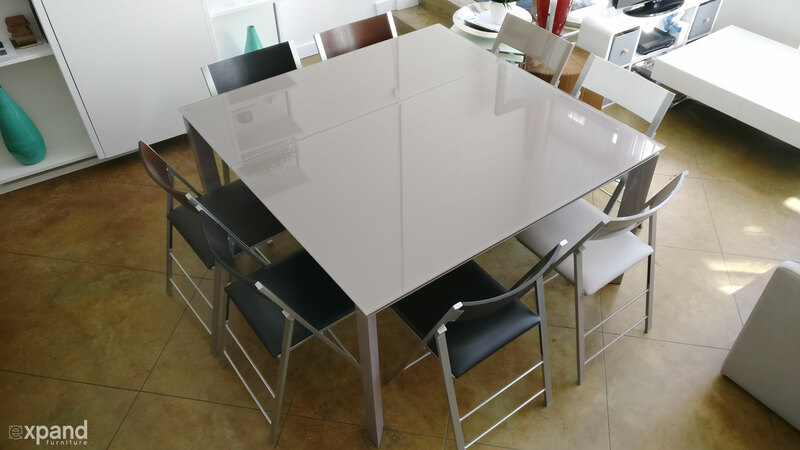 Like most of Expand Furniture’s convertible tables, The Frame can easily be transformed by one person, thanks to its simple to use glide mechanism. 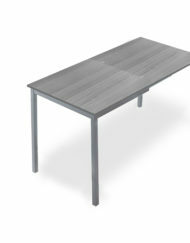 The Frame grey top extending dining table stand is small enough to be tucked in a corner as a home office desk, or even sideboard, as it is only 35.5 inches wide (unextended) and 55 inches long. 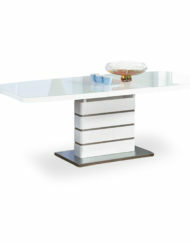 Fully extended it displays a contemporary square shape measuring 55 x 55 inches. 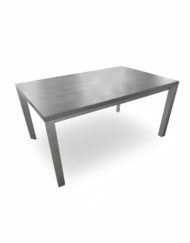 Whether you are looking for a dining companion for just two, or need a table that feeds a family, The Frame makes an excellent choice. 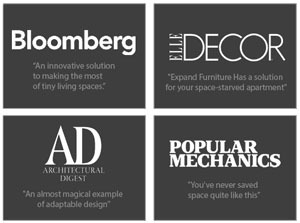 Our Bella stackable or Nano foldable chair sets of 8, compliment The Frame in color and functionality. 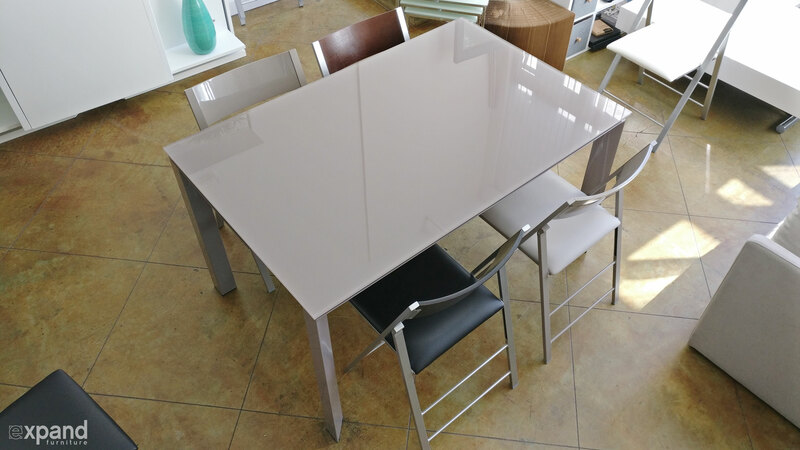 Easy on the eye, striking design and conveniently stowed away, these chairs also come in sets of 4 and make a great addition to any of our convertible dining or console tables. 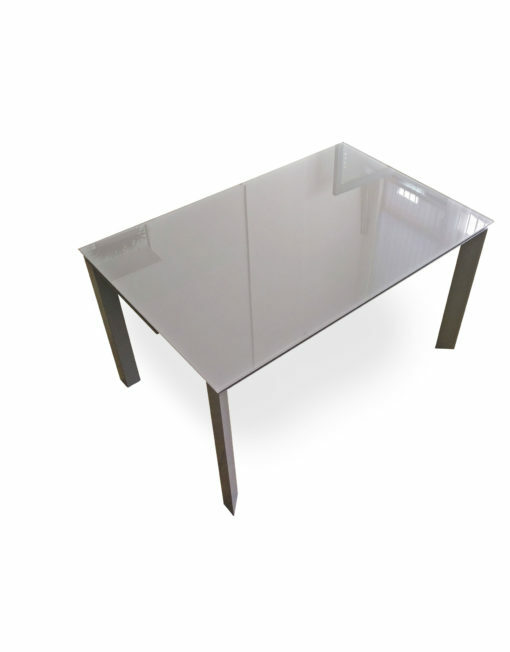 ~2-3 weeks delivery for this table. Use a mild soap or cleaning agent with a micro-soft cloth. Do not use abrasive cleaning products. 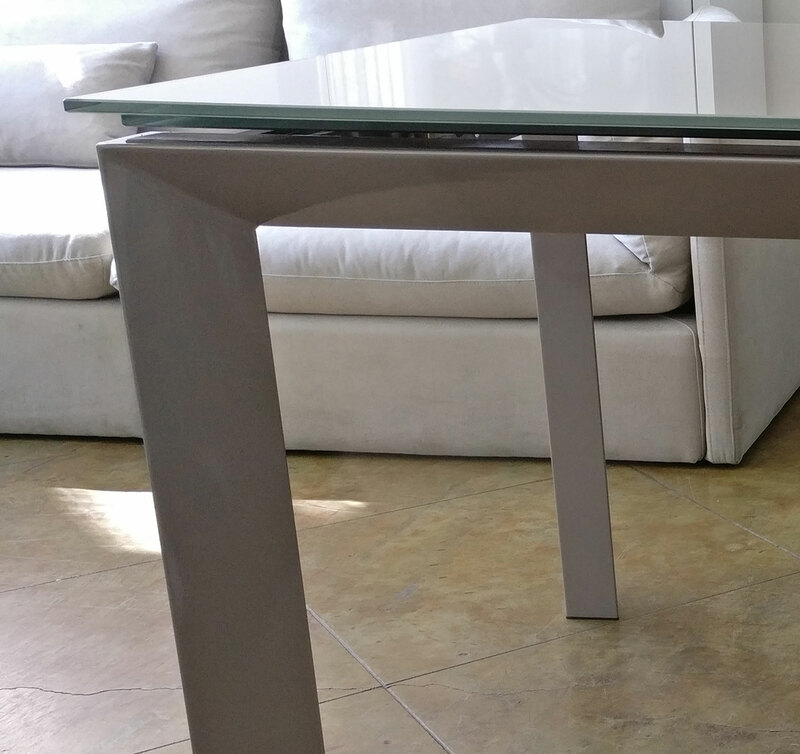 Tempered glass painted in a coat of grey coffee oil paint with steel legs. 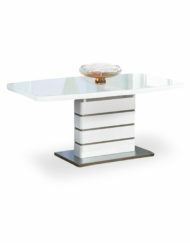 Creative design, high-quality product, and excellent customer service. 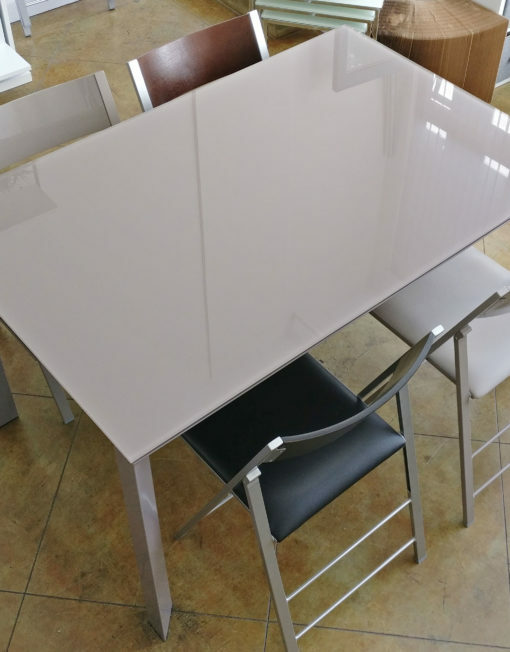 I have a pretty oddly shaped kitchen and I looked for a table that expanded from a rectangle to a square for quite a while before I saw this table. I watched the video online and it looked pretty easy to expand it so I ordered it. What I saw was what I got. 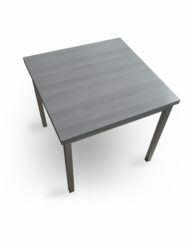 It’s a well-made, sturdy table and I really like the way it looks. 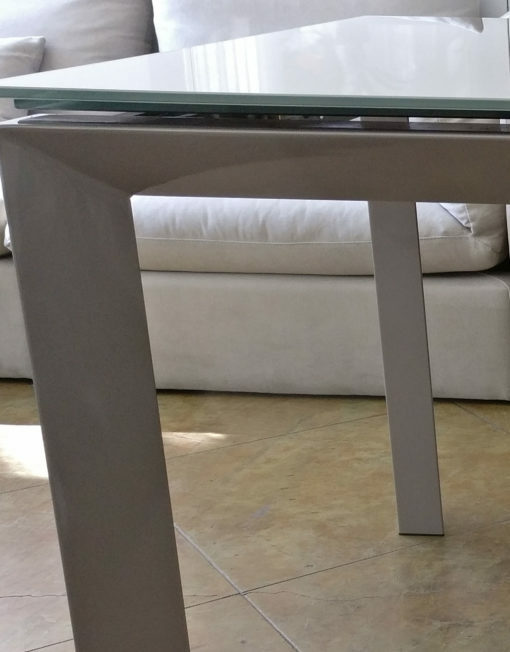 There was a scratch on the expansion piece of the table. 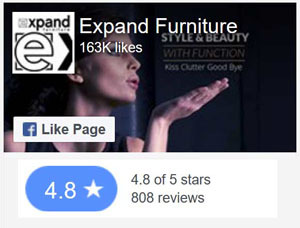 When I approached the folks at Expand Furniture about this issue, they were very courteous and responsive.These are ethical folks who stand by their product and take care of their customers. 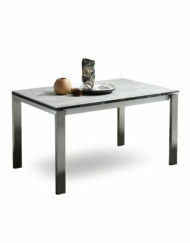 I love the table. 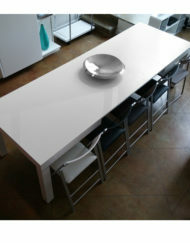 It’s easy to clean and the glass top looks very elegant. 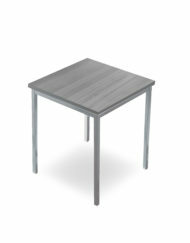 My previous table had a leaf that opened in the middle and you needed two people to expand it. This one expands on the side, which is very unusual and cool. I can expand it by myself. 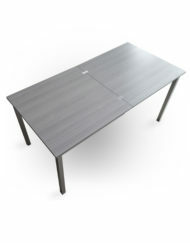 It takes two people to flip it while assembling because it is pretty heavy but the assembly itself is not hard. 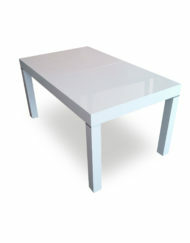 I like the height of the table. 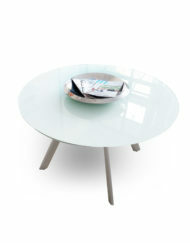 Glass-top tables can look rickety and cheap if they are too light. 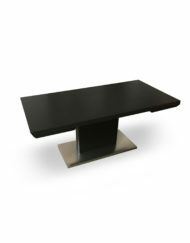 This one is very sturdy yet lean at the same time. 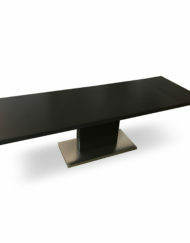 It has a very clean, modern look. 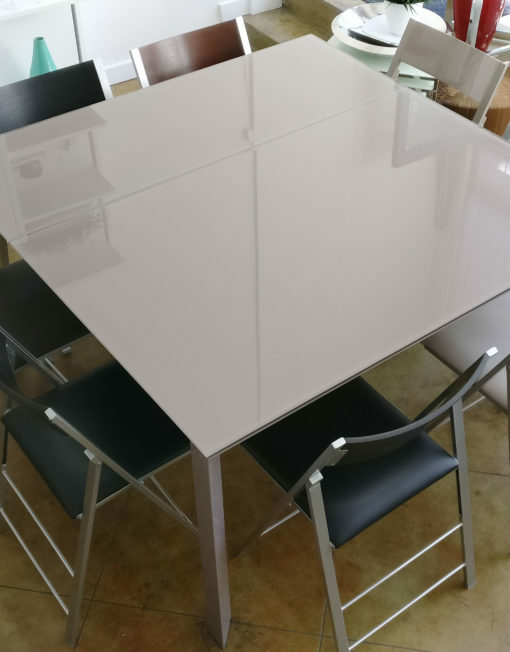 I paired the table with some minimalist chairs and it comfortably seats eight while making my kitchen look larger and airier. 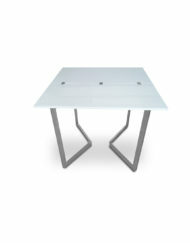 My husband is pretty happy that my long search for a table is finally over!